Not ready to invest in the full suit? Still having growing pains? New to saddleseat competition and need a place to start? You can still hit the showring with a great sense of style! 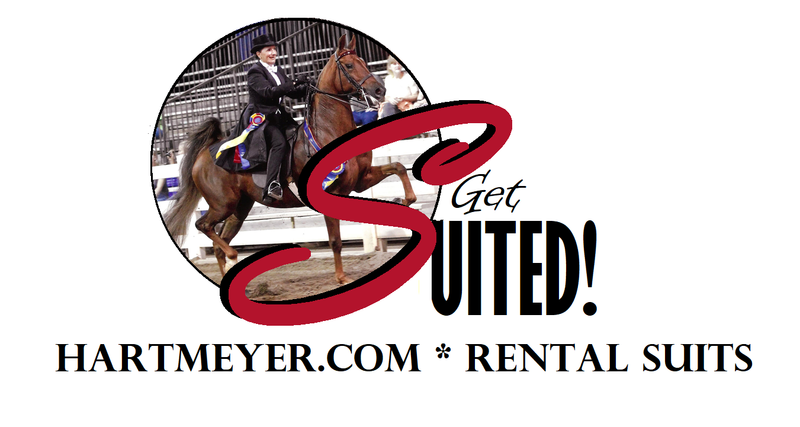 We maintain a good supply of ladies', men's and children's 3 piece saddle suits and a limited supply of formal suits for rentals. Professional alterations are allowed, but please do not cut the excess seam or excess fabric! Minor alterations (those up to 1") need not be reversed before returning. Please make sure that children keep their jod cuffs turned up while unmounted as hems are easily frayed. Most suits are dark navy pinstripe or medium gray pinstripe. There are a few browns and other colors. 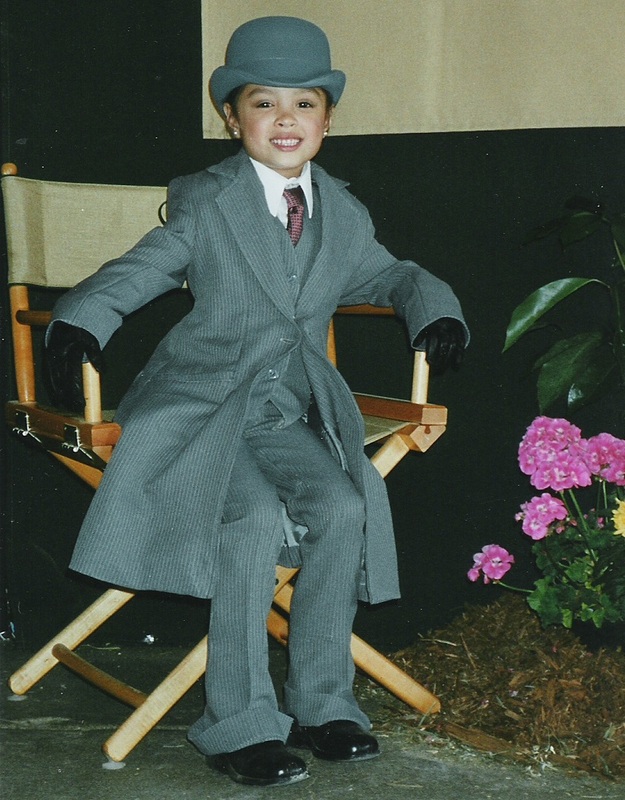 Gabriela Vazquez sporting one of our grey pinstriped Youth Rental Suits! GOING FOR A MORE PERSONALIZED LOOK? Create your own colorful customized look with our extensive collection of saddle suit accessories! Try a different vest, shirt, tie or various combinations to create the perfect look for you and your horse! Want to give the new tone on tone, pattern on pattern trends a try with your new rental? Have a specific color or pattern you're wanting to pull off? Give us a call and let us see what we can put together for you or take a spin through our pages above and see what amazing ensembles you can find! The possibilities are endless!! !